Incentive’s 25 Ways to Manage Your Incentive Budget Wisely offers insightful tips for getting a budget approved, spending it wisely, and protecting it when times are hard. 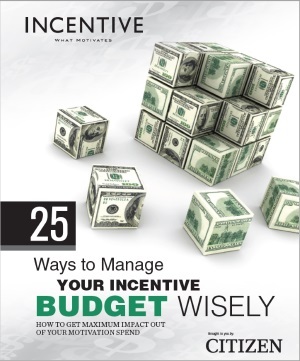 25 Ways to Manage Your Incentive Budget Wisely is brought to you by Citizen Watch Co. According to a recent survey from WorldatWork, organizations that use this method budget an average of 2 percent of payroll for incentive and recognition programs; however, the median amount is 1 percent, with some organizations going as high as 7 percent. Other organizations prefer to set aside 5 to 10 percent of the value of the expected improvements as the budget for the program. This method caps the total number of winners, such as the top 20. 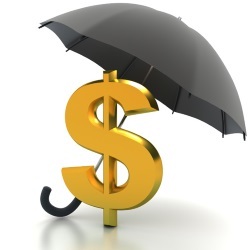 This allows the organization to establish a firm budget number right from the start of the program. This strategy does not put a limit on the number of winners — everyone who reaches the goal earns the award. These standard guidelines all help create a structure to track an incentive budget once it is approved, but they do not help organizations get approval of the budget to fund the program or get the most out of how the budget is spent once it is established.